I don’t really watch horror movies. 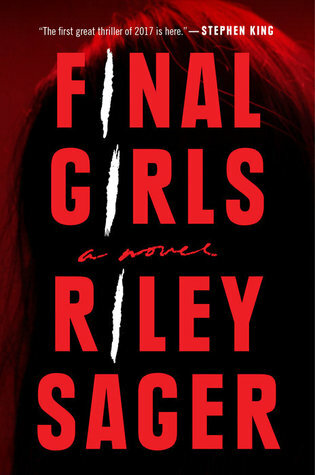 I get scared easily and even though this book’s cover made me think of a horror movie, I was completely sucked in by the cover and the title. 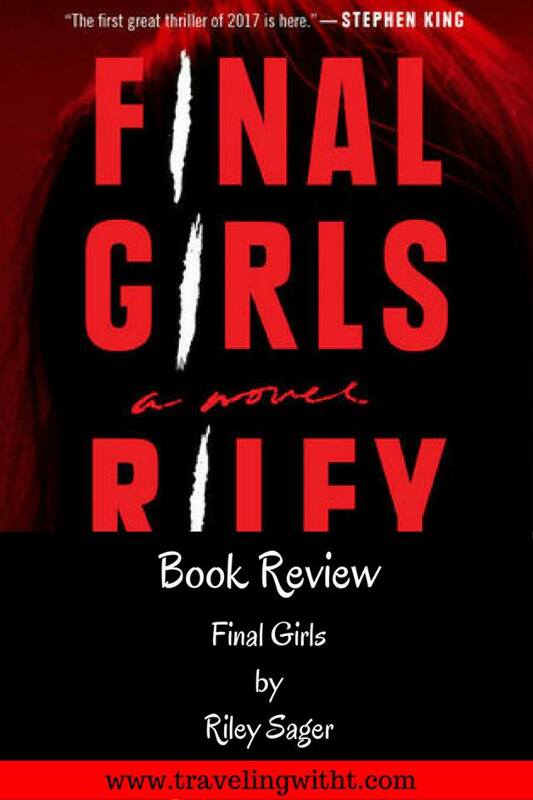 Final Girls- it sounds so intriguing for a title of a book, not for the title of life! I was careful with this book. I only read during the day when I knew my overactive imagination could not add to the thriller subject matter of this book. This book is realllllllly hard to talk about without spoiling! So, I’m just going to give you some quick highlights! Cover. It’s totally not my normal type of cover, but something kept drawing me to this book when I would see it on Netgalley. When it all was revealed. Listen, you read enough mysteries, thrillers, suspense books- and you start seeing certain patterns. You know to suspect many people. Even the main character is to be suspected because you just never know. But this was…. well… wowza almost seems to be too tame a word for this ending. Bottom line: I was worried this would be a bit too gory, but it wasn’t. It was def a thriller, though! I’ve heard good things all around about this book. One I should definitely pick up. I didn’t love this one. The ending was definitely surprising to me, but it was so out there that it didn’t make much sense with the rest of the story for me. However, I tend to have this issue with many thrillers. I read this book really early (back in 2016) I wonder if I read it more during the hype- if I would have enjoyed it as much!